We at Safety First are on a mission to increase the number of AEDs (Automated External Defibrillators) within area organizations. These are the life-saving devices that restart the heart in an event of sudden cardiac arrest. Sadly, these emergencies happen with people of any age, and the survival rate decreases by 10% for every minute that goes by before an AED can restart the heart. That means that after only five minutes, the survival rate is already down to 50%. Of course, paramedics will bring this device with them on a rescue vehicle, but all too often it does not arrive quickly enough. This is why it is imperative to have these devices available in every workplace and every facility where people live or gather. While the prices on AEDs have come down considerably over the years, we know that even the lower price that we sell them for is often cost-prohibitive for many. This is why we were delighted to find out last year that the Firehouse Subs Public Safety Foundation provides grants to nonprofit organizations for AEDs. Nonprofits, we would like to assist you in obtaining an AED grant for your organization. With the grant, you can obtain one or more AUTOMATED EXTERNAL DEFIBRILLATORS COMPLETELY FREE! We have already helped many other local organizations get theirs and we can help you, too. Included below are step-by-step instructions below about how to apply for the Firehouse Subs grant. It is not complex and we are here to help in any way, so please contact us for assistance. Safety First also provides safety training courses such as Community CPR/AED and Basic First Aid certifications, and those can be included in the grant as well. 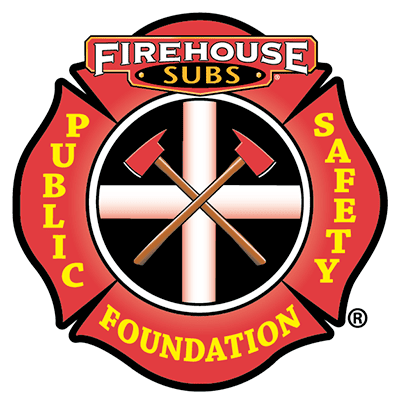 The Firehouse Subs Public Safety Foundation grant application is completely digital and can be found at http://grants.firehousesubs.com/. Welcome Page – Read all and print a copy to keep. Vendor Equipment Quote – This is what you need from us. Contact Carrie at info@safetyfirstjax.com or 904-434-6032 to request this. She will discuss your organization’s needs with you and let you know your equipment options and her recommendations, and then will email you an attached quote that follows all the Foundation’s guidelines for submission in the application. FAQ – Read completely and print. Account Registration – Follow the prompts to create your account and complete the application. That’s it! It is a streamlined and easy process and we are here to help. Safety First has already assisted several schools with obtaining life-saving AEDs and we hope your organization will be the next!